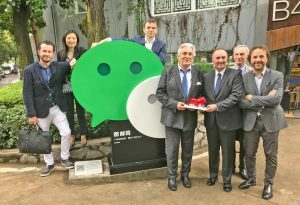 A delegation from Lyon, led by David Kimelfeld, President of Metropole de Lyon, and Georges Képénékian, Mayor of Lyon, visited China from 1-9 May. The delegation visited Guangzhou, Hangzhou, Beijing and Shanghai, in order to “perpetuate the many political, economic, academic and cultural partnerships”. 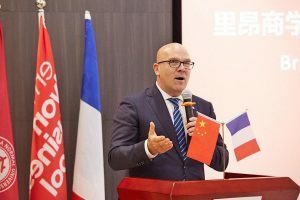 It also represented an opportunity to celebrate the 30th anniversary of the twinning between Lyon and Guangzhou, in the Canton province. Aderly teams also attended to represent economic partnerships with China. Relations between Lyon and China date back to the silk era. In the 16th century, Lyon, then capital of silk and printing, became a major vector of Chinese culture in France, and across Europe. 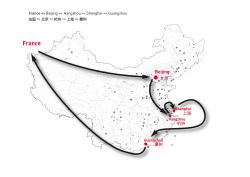 In the 19th century, commercial ties between China and Lyon strengthened, thanks to numerous commercial missions by traders from Lyon. In 1921, the Franco-Chinese Institute was created under the patronage of the University of Lyon, to allow Chinese students to study in Lyon, to become executives, and then return to China. 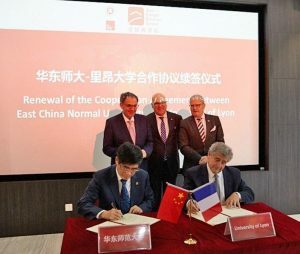 In 1988, an agreement was signed between Lyon and Guangzhou to develop business relations, academic exchanges and collaboration in urban techniques. 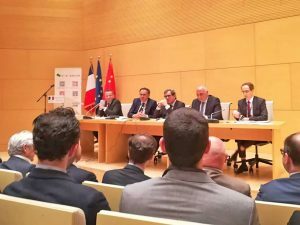 Relations between Lyon and China have been uninterrupted since the days of the “Silk Road”, and continue to grow stronger every day. The consolidation of economic relations between China and Lyon was at the heart of this visit. Representatives of Aderly, including Jean-Charles Foddis, Executive Director, and representatives from CCI Lyon Métropole were part of the delegation. 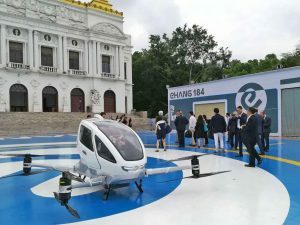 The goal: to meet innovative Chinese companies from Guangzhou Province, such as WeChat, China’s instant messenger giant, or Ehang, a rising start-up specialising in taxi-drones. A seminar given by Cathay Capital also helped to identify investment opportunities with China. 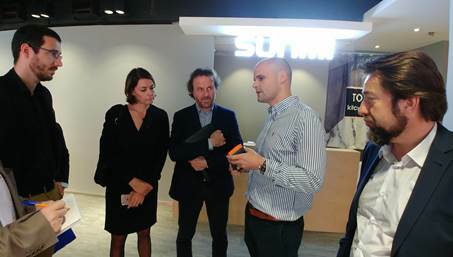 The delegation also met with Sunmi, a company specialising in professional payment terminals, and it was announced that it would open a European representative office in Lyon, and could even open a logistics centre by 2020 or 2021. This was a success for the delegation. During the visit, the delegation also visited ChemChina, the conglomerate that invested in Elkem Silicones’ (formerly Bluestar Silicones) production units, and which is expected to invest another 100 million euros by 2020 to improve both the research centre and production capacities of the Lyon site. The delegation also went to Shanghai, where there are two major schools in Lyon: INSA Lyon and EMLyon. China has strong ties with INSA, where, Chinese students have studied (at the Lyon site) for their doctoral theses since 1979. Today, INSA Lyon is very active in forming partnerships with Chinese universities, especially to offer double degrees or to invite high school students to study at school for 5 years. As for EMLyon, it has just opened a new campus in Shanghai, co-founded with East China Normal University: Asia Europe Business School (AEBS). 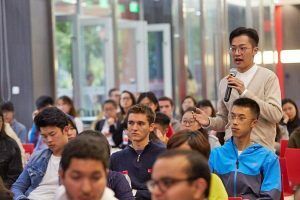 For the occasion, the Chinese students were invited to a presentation of Lyon and a discussion and exchange session was organized between the delegation and the students. Currently, 320 Chinese students are studying on the Lyon campus. In all, there are 5,000 Chinese students studying at the universities of Lyon-Saint-Etienne. Finally, the Lyon representatives went to the bioMérieux campus, which represents the excellence and essence of the city of Lyon, also in Shanghai. 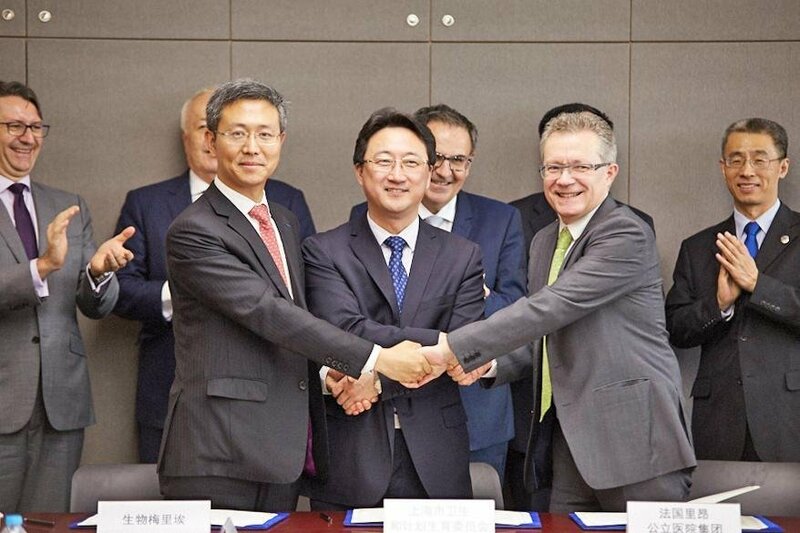 A tripartite agreement between the company, the Hospices Civils de Lyon and the Shanghai Health Authorities has been renewed, allowing Shanghai health professionals to come to Lyon to specialise. There are many possibilities for collaboration between Lyon and China in this area. The delegation from Lyon, leader of French smart cities, visited Huawei’s Smart City R&D centre in Beijing during its trip. During their visit, discussions on possible joint projects were initiated. The delegation was also able to visit the Pujiang Line, the first driverless automatic train line in Shanghai. Furthermore, in the context of the Franco-Chinese year of ecological transition, the delegation was preparing the 2018 edition of Pollutec, an international fair for environmental equipment, technologies and services, where China will be honoured. The New French-Chinese Institute was also preparing the “City of a new era” forum to be held in Lyon in November. Finally, in Beijing, the delegation met with representatives of French Tech. 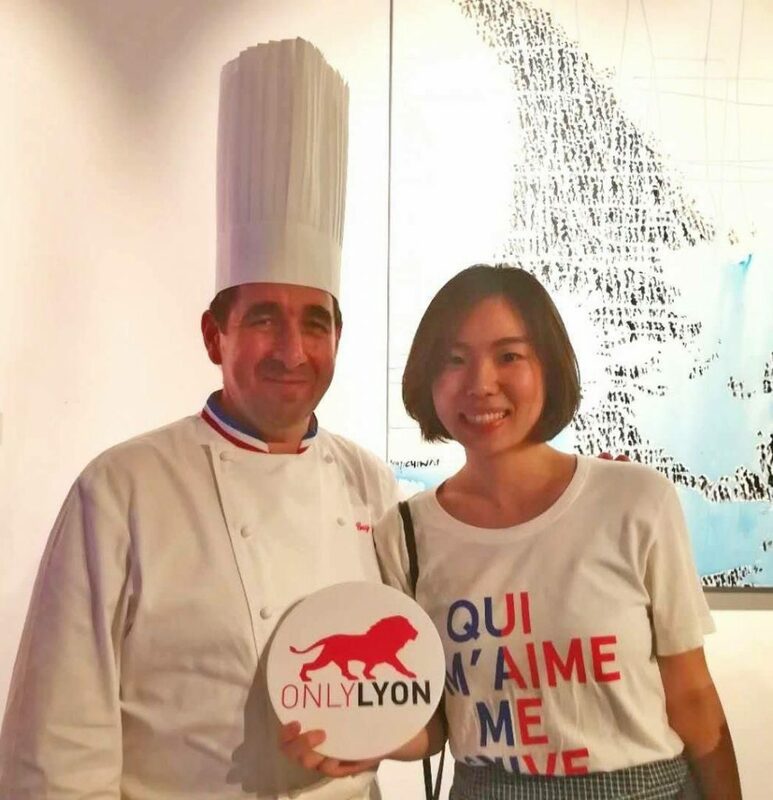 30 years of twinning between Canton and Lyon have been and will be marked by major events: Guangzhou hosted the Bocuse d’Or Asia-Pacific finals, with a jury of ten Lyonnais chefs, before the final of the Bocuse d’Or, which will take place during SIRHA 2019; this year, the Sun Trip, a bike route promoting new mobility (the route is made for solar energy bikes), will link Lyon to Canton. The delegation attended both of these events. Naturally, a visit to the National Silk Museum was a must for the delegation, given the rich history between the two countries and their silk heritage. During the visit to Shanghai, members of the delegation attended the inauguration of an exhibition at the University of Tongji, which had been organised by the New Franco-Chinese Institute. It was called: “The beautiful relationship between Lyon and China”.